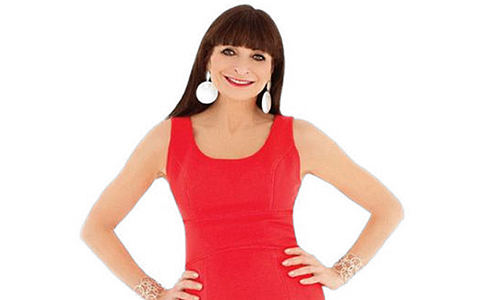 Fashion guru, Jeanne Beker hardly needs an introduction. 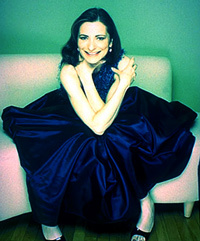 She is the pioneer of Fashion Television Channel and was editor-in-chief of FQ magazine. 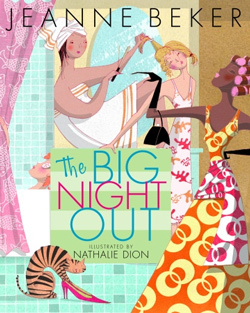 In her first book for teens, THE BIG NIGHT OUT, Jeanne tells you how it’s done. FAZE: What’s the driving philosophy behind writing this book? In your book you mention your first brush with fashion, which was certainly due to a stylish mom and artistic tailors. How do you think that experience for teens changed with time? JB: Obviously, most mothers today don’t have the time or patience to sew for their daughters, and certainly, having a dress custom-made has become quite a luxurious extravagance. But I think because fashion has become so much more accessible and affordable (with fun stores like H&M, for example), it’s not longer necessary to have “originals” made. Also, these days fashion is all about “mixing it up,” so it’s much easier to put an original look together for yourself by just using a little imagination, and putting unexpected pieces together in fresh new ways. We all have so many options open to us in fashion — teens today need to be encouraged to be adventurous, and express themselves. I think some of the great, stylish music videos that are around today certainly help to encourage teens to “strut their stuff,” and as long as they do it tastefully, that really is a positive thing. What are some of the upcoming trends you see that will make it big with teens who are dressing up for their first big night out this year? JB: As I state in my book, vintage dressing continues to be hot with women of all ages. This spring and summer, femininity and romance reigns supreme: Look for full skirts, pretty blouses, and retro-looking dresses. Nostalgia is definitely in the air. Flat shoes are also very in this coming season… and there certainly are some beautiful ones out there. Vibrant colours are also huge for summer and spring. But come September, black will be back, bigger than ever. The sixties are also coming back in a big way, especially for fall. Many of the makeup trends I saw at the recent collections in Paris were indicative of that. So bring out the eyeliner and pale pink lipstick! But remember that practice makes perfect: It can take a while to get a look down pat. Fashion now seems like ‘everything goes’. Would you agree? JB: Yes, I do think that just about anything goes — as long as you feel comfortable in it. Of course, one does have to have a sense of propriety. It can be rather tasteless to wear clothes that are totally inappropriate for certain occasions. For example, you wouldn’t wear a party dress to a funeral, or scruffy clothes to a formal event. But I do think individuality is being encouraged in fashion more than ever before, and the most interesting and often stylish people around are the ones that don’t merely follow the trends but perhaps start new ones, and are original thinkers. Also in your book, your accounts of dressing up are often hilarious due to your minute attention to detail and an exact idea of what you wanted to wear. Did you know back then that fashion was what you wanted to work with in the future? JB: Not at all! I really wanted to be a great actress when I was in my early teens. I regarded clothes as “costumes” in a way — something that would help me “feel” the part I felt I was about to play. I never dreamed I’d become any sort of fashion journalist. I just wanted to entertain and communicate. I guess I ultimately did end up doing that in the end… Fashion has just become my platform for reaching out to people.